is a physician-supervised weight management program and comprehensive nutritional plan that controls hunger, enhances the burning of body fat and teaches you how to enjoy healthy eating. The program combines a low-glycemic nutritional plan, supplements, medication (if applicable), and exercise. These elements work together to provide increased energy and safe, effective weight loss. Our goal is to give you the resources and tools required not only to reach a healthy weight but to maintain it. Our individualized weight loss program teaches a wellness lifestyle to help you keep the weight off. You will incorporate what you learn in the acute weight loss phase and be provided with continuing education on better nutritional habits and exercise to maintain your long-term goals. Zone products are used not only during the initial weight loss period, but are continually available to aid you in maintaining your optimal weight. Your initial evaluation includes a detailed program overview, weight and body fat analysis, initial blood panel, supplemental injection, full medical consultation and FDA approved suppressants. 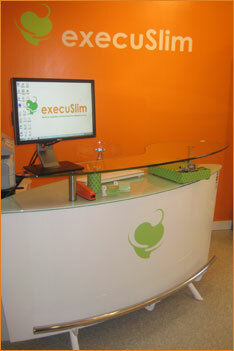 Visit the ExecuSlim Website Today! Call (310) 657-0366 today for your FREE consultation which includes weight and body fat analysis and basic program overview. Call 310-657-0366 today to schedule your free consultation!